Designed by Montage, the Prism Collection is a contemporary interpretation of design with Lucite, used prominently in the Mid-Century. Our clean lined expertly polished solid lucite “Prism” legs lend themselves wonderfully to the designs of our Studio Collection. The Prism Collection is designed and manufactured in-house by Montage. Shown with a Leather in a shimmer Sharkskin Motif, so soft and elegant, with countless other qualities of leather to choose from. 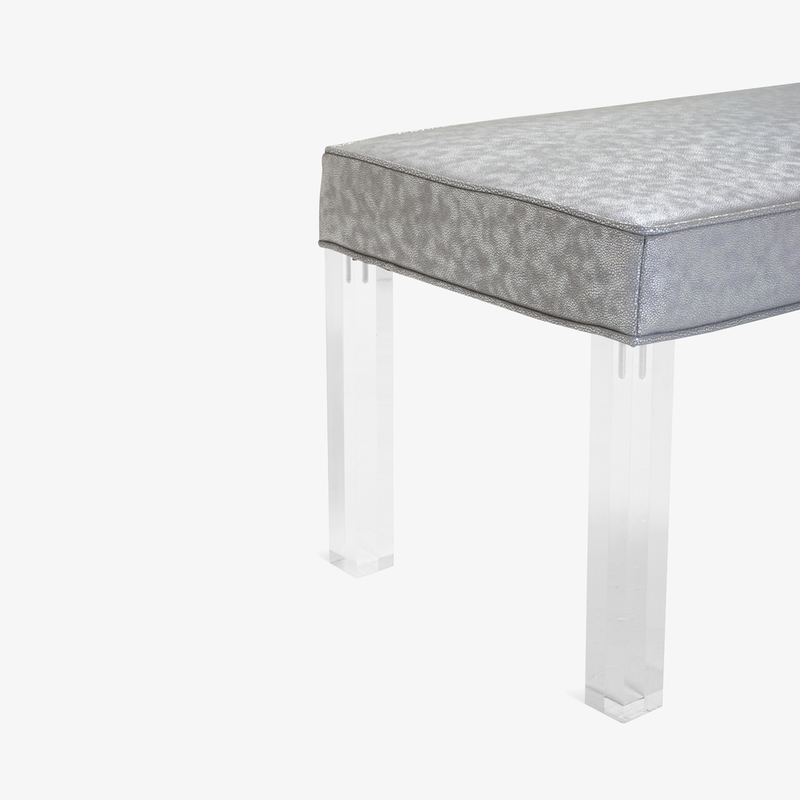 The lucite legs are crafted and polished in the USA and the fabrication and upholstery is done in our Connecticut Workroom. Montage's Prism Collection is made to order ensuring excellence in quality and can be upholstered using our wide selection fabrics & leathers and of course COM. We are more than happy to mail samples of the shown material or any other quality/color in our library for review. The top is available with a waterfall, welted (shown), or tufted upholstery. The overall dimensions of this design are fully customizable. Feel free to contact Montage to discuss customization, orders of quantity, our fabric collection, various hardware finishes, or with any question you may have.